Professional Focus Dr. Leo David Wang is Board certified in pediatrics and pediatric hematology/oncology. Dr. Wang earned his undergraduate degree in molecular biophysics and biochemistry from Yale University, followed by his Ph.D. and medical doctorate at the University of Chicago. He successfully completed an internship and residency in pediatrics at the Children’s Hospital of Philadelphia. 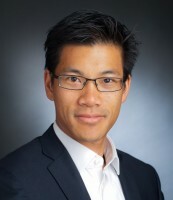 Dr. Wang then completed his pediatric hematology/oncology/stem cell transplantation fellowship at the Dana-Farber/Boston Children’s Cancer and Blood Disorders Center, and pursued postdoctoral research in the laboratory of Dr. Amy Wagers at the Joslin Diabetes Center and Harvard Stem Cell Institute. His research focuses on translational science to understand how blood cells develop and grow and use that information to help to treat cancer better. He plans to continue this work on benign and malignant hematopoietic stem cells, as well as to extend his research to investigate critical pathways important in the immune response to cancer. Ultimately, he plans to create a research program that bridges clinical oncology and bone marrow transplantation with fundamental mechanistic research, permitting the translation of novel laboratory findings into clinically important interventions. Biology of blood and marrow transplantation : journal of the American Society for Blood and Marrow Transplantation. 2018; 24(1):185-189. Phosphoproteomic profiling of mouse primary HSPCs reveals new regulators of HSPC mobilization. Wang LD, Ficarro SB, Hutchinson JN, Csepanyi-Komi R, Nguyen PT, Wisniewski E, Sullivan J, Hofmann O, Ligeti E, Marto JA, Wagers AJ. Developmental regulation of myeloerythroid progenitor function by the Lin28b-let-7-Hmga2 axis. Rowe RG, Wang LD, Coma S, Han A, Mathieu R, Pearson DS, Ross S, Sousa P, Nguyen PT, Rodriguez A, Wagers AJ, Daley GQ. The Journal of experimental medicine. 2016; 213(8):1497-512. The role of Lin28b in myeloid and mast cell differentiation and mast cell malignancy. Wang LD, Rao TN, Rowe RG, Nguyen PT, Sullivan JL, Pearson DS, Doulatov S, Wu L, Lindsley RC, Zhu H, DeAngelo DJ, Daley GQ, Wagers AJ. Overlapping roles for endothelial selectins in murine hematopoietic stem/progenitor cell homing to bone marrow. Nabors LK, Wang LD, Wagers AJ, Kansas GS. The pre-B cell receptor in B cell development: recent advances, persistent questions and conserved mechanisms. Clark MR, Cooper AB, Wang LD, Aifantis I. Current topics in microbiology and immunology. 2005; 290:87-103. Selection of B lymphocytes in the periphery is determined by the functional capacity of the B cell antigen receptor. Wang LD, Lopes J, Cooper AB, Dang-Lawson M, Matsuuchi L, Clark MR. Proceedings of the National Academy of Sciences of the United States of America. 2004; 101(4):1027-32. B-cell antigen-receptor signalling in lymphocyte development. Igalpha: B all that you can B. The Journal of clinical investigation. 1999; 104(8):1011-2. Evaluation of the role of cytokine activation in the multiplication of JC virus (JCV) in human fetal glial cells. Atwood WJ, Wang L, Durham LC, Amemiya K, Traub RG, Major EO. Journal of neurovirology. 1995; 1(1):40-9. Gelbard HA, Nottet HS, Swindells S, Jett M, Dzenko KA, Genis P, White R, Wang L, Choi YB, Zhang D.
Journal of virology. 1994; 68(7):4628-35.